Post-truths, alternative facts, fake news. These terms are thrown about in the traditional and social media, by politicians and by people wanting to discredit statements they disagree with. 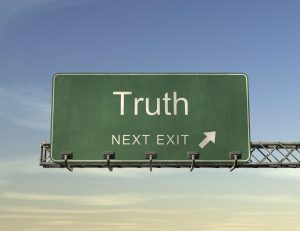 The post truth era is described as when objective facts and scientific evidence are less influential than a narrative and appeals to emotion and personal beliefs. In a democratic society with freedom of speech at its core, how do we distinguish facts from fiction and navigate the truth in this post-truth era? The next public forum hosted by local think-tank the Newcastle Institute – to be held at 6pm on June 14th at South’s Leagues Club – will focus on the challenges of navigating truth in the post-truth era. These questions will be answered, and followed by a vibrant discussion with a diverse multi-disciplinary panel of experts. The panel will be made up of a health scientist, a political scientist, a communications expert and a philosopher. The panel discussion will be facilitated by Mr Brad Webb, an experienced local senior executive. The expert panel will be presented with a number of scenarios relating to: the Australian economy and in particular debt and deficit; managing the threat of terrorism; and decisions in health care. The panel will not be required to comment on the facts but on how we navigate truth when confronted with a range of often conflicting statements. They will be challenged to explore how we as citizens validate statements made by media and politicians. Importantly the impact of alternative truths on trust and on the future of democracy will be explored. This interactive evening will provide an opportunity for participation and exchange of ideas on one of the most significant challenges facing our democracy for many years. ← What are the solutions to the electricity supply crisis?